WALKING FOR LIONS is a not – for – profit organization dedicated to raising money for Lion conservation, creating awareness and finding solutions. Share the passion and commitment to help protect one of Africa’s most iconic species… THE LAST LIONS!! I have decided to raffle three of my Fine Art Lion Prints, with 100% of funds being donated to helping save the last Lions. 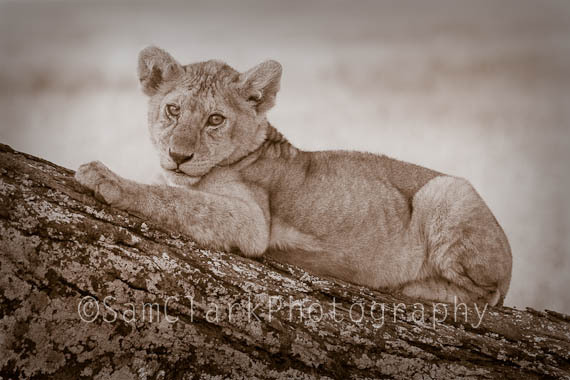 I have chosen the Lion Cub, Lioness and Lion prints, as it resembles the generations of Lions that need to be saved. The ones alive today, and the ones yet to be born. This is not a short-term solution or quick fix, but rather one of changing the way people and the world operate and think as a whole. Changing peoples attitude, finding solutions for the problems of animal and human conflict, educating our children, the future for our wildlife. A change that takes time, but over generations, will become the known and only way. Our Lions and other wildlife depend on us… we are their voice!! Increase your chances with multiple entries. For example, if you donate $50, I will enter you 10 times. The raffle will be drawn via Random.org. FB link is over on the right! There will be three 8×12 inch fine art prints in the raffle. They are printed onto archival Hahnemuhle Photo Rag paper with pigment inks. The prints have a white border and will be signed my me. I will post them anywhere in the world for free. Please share this on your FB page, we need to create as much awareness as possible about the plight of our Lions. Remember knowledge is power, power brings change! The first of three prints to be raffled!